This pair of children’s tallit katan is cute and fun to wear! 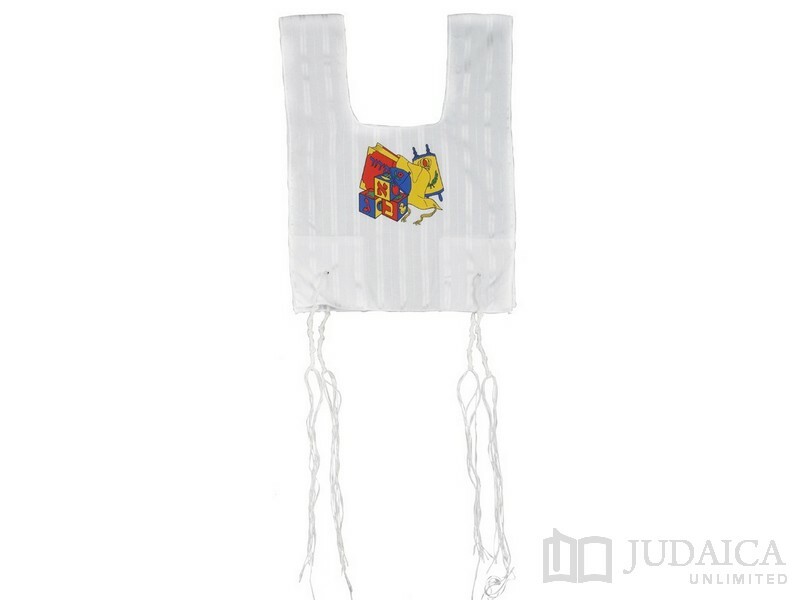 Children will adore the pictures of Hebrew Alef-Beit blocks, sefer torah and other Jewish articles which are screen printed on. Made from a poly-cotton blend these tzitzit are wrinkle-free and easy to care for. Comes complete with tied and knotted tzitzit strings. Machine washable.